Grab yourself a wee bargain! BUY NOW AND PAY NOTHING UNTIL 2020! For a limited time, get up to 24 months 0% finance on our artificial putting greens. 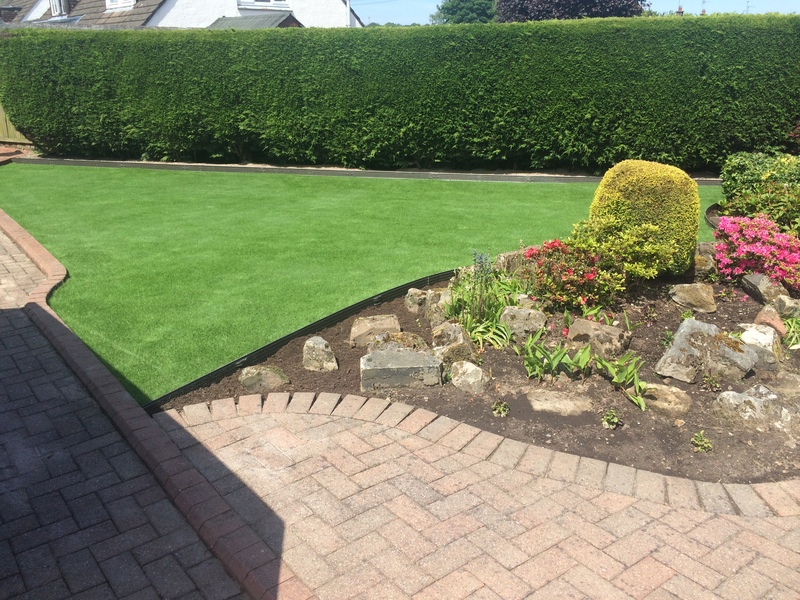 Artificial Grass Scotland specialise in supplying, servicing and Installing artificial lawns and grass throughout Scotland from our centrally based warehouse In Cumbernauld open to the trade and public. Whilst we pride ourselves on delivering a high-quality service from our free survey to fully Installing your project with our highly skilled teams it might only be a small balcony looking out over the Clyde to a large garden and putting green In Stirling all you have to do is look at the quality of our projects completed and our customers feedback to see that we are the right company to work on your project when you are looking at Introducing an artificial lawn to your home, School or Business. 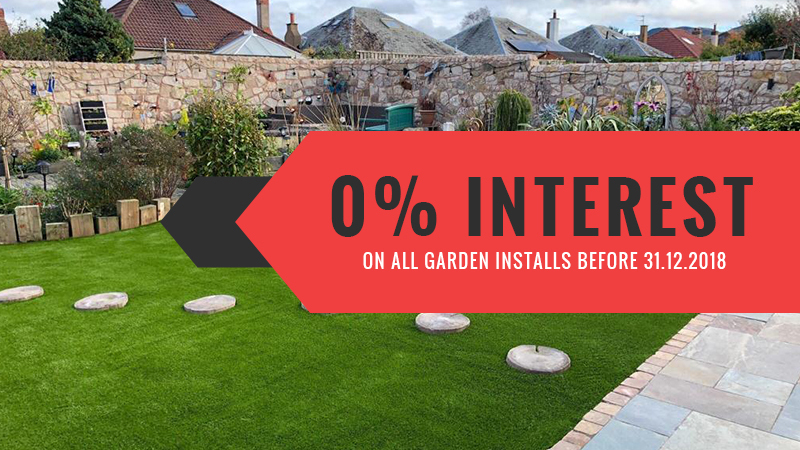 A large majority of our Installations are for domestic clients installing artificial gardens, putting greens Inside and outside we also work for Schools, Nursery’s, Councils, Landscape Company’s, House Builders and Commercial Business Owners. All the grasses that we supply are top quality, realistic, long lasting, pet-friendly and child-friendly they will come with an 8-10 year warranty ask us for a sample. 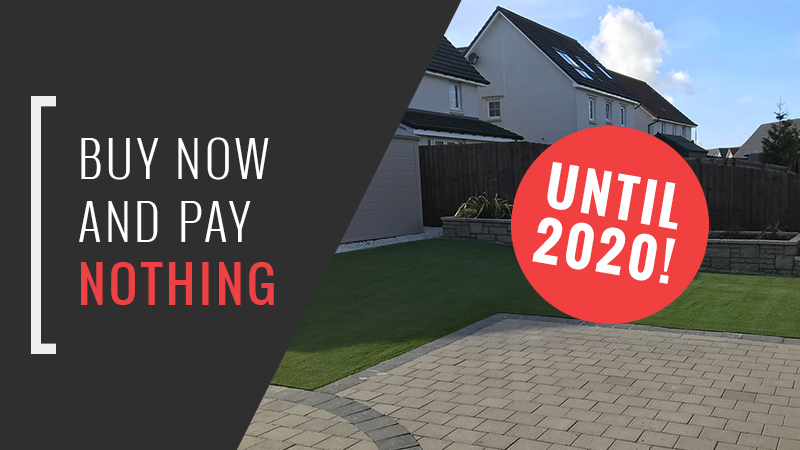 If you are thinking about a new quality artificial lawn, get in contact to arrange your free site survey from the company that will fit the best artificial lawns throughout Scotland. To get an estimate on a potential new project, or to clarify any concerns you may have about artificial grass. Get in touch with our experienced sales team today. The boys from easigrass have done an amazing job in our garden. Transformed it into a beautiful green and tidy place for the kids to play without getting dirty! First class service from start to finish. Thanks. Thank you so much for transforming our worn garden into a beautiful play area for our little ones! The grass looks amazing and we can't believe the difference already. Will definitely be in touch to do our front garden next. 3 days work and my back and front garden has been transformed. The guys kept me up to date with the work and small issue sorted right away. Great job guys thanks so much. There is No Interest In Artificial Grass! Buy now and pay nothing till 2020.